To honor Pangasinan State University (PSU) alumni who manifested excellence outside the university premises, PSU conducted its second Recognition Program for the Licensure Examinations and National Certification Passers of March and September 2018 at PSU Lingayen Campus Convention Hall last February 26. The Awardees were warmly welcomed by Dr. Rosario DL. Valencirina, Dean of the College of Education in Lingayen Campus. Meanwhile, an inspirational message from Dr. Priscilla L. Agsalud, PSU Lingayen Campus Executive Director, encouraged the awardees to continue on bringing the name of PSU to the peak. More so, during the recognition, representatives from different programs of the University were given the chance to share their impressions on the Board Exams they hurdled. 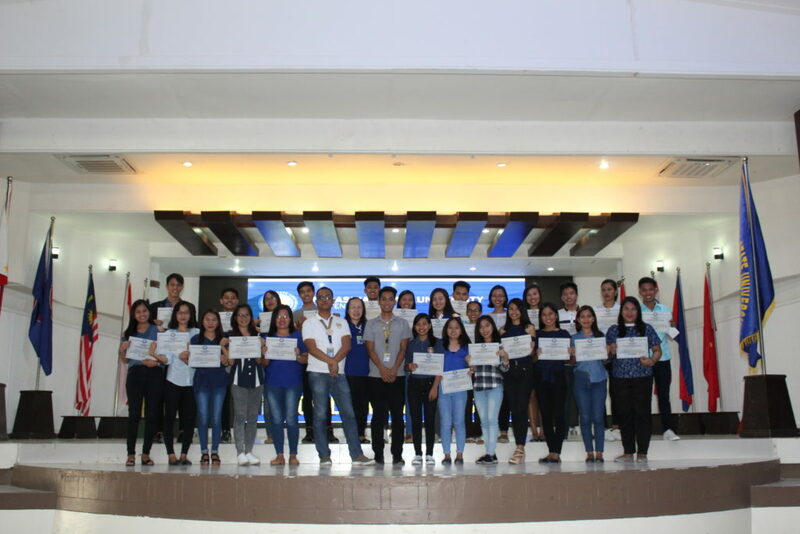 “This action of our alma mater to recognize us [board exams and national certificate passers] means a lot to us and serves as our motivation to continue bringing ‘blessings’ in the university even if we are already out of its four corners,” expressed by Patrice Flores, a passer of the Board Licensure Examination for Professional Teachers (BLEPT) and a graduate in PSU Lingayen Campus under the Bachelor of Secondary Education program. At the end, Dr. Lorna G. Urbiztondo, Dean of the College of Arts, Sciences, and Letters, formally closed the program and congratulated the passers.